On November 26, 2018, UNIST School of Business Administration (SBA) received AACSB (Association to Advance Collegiate School of Business) International Accreditation, the hallmark of excellence in business education. Achieving this accreditation means that the SBA’s programs at the bachelor’s, master’s, and doctoral levels, are proven to be among the best in business education anywhere in the world. As the youngest South Korean institution based on establishment year, our school stands shoulder-to-shoulder with top-ranked business schools in the world that earned AACSB Accreditation. Established in 2007 and opened in 2009, SBA has earned this AACSB Accreditation for all of its business programs in such a short history. This also puts UNIST as the first accredited university in the southeastern regions (Busan, Ulsan, and Gyeongnam) up to date. 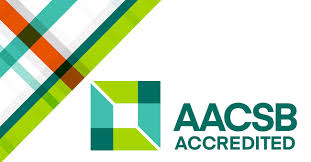 For more information on the AACSB Accreditation, please click here. Please check the events what you want to be informed.